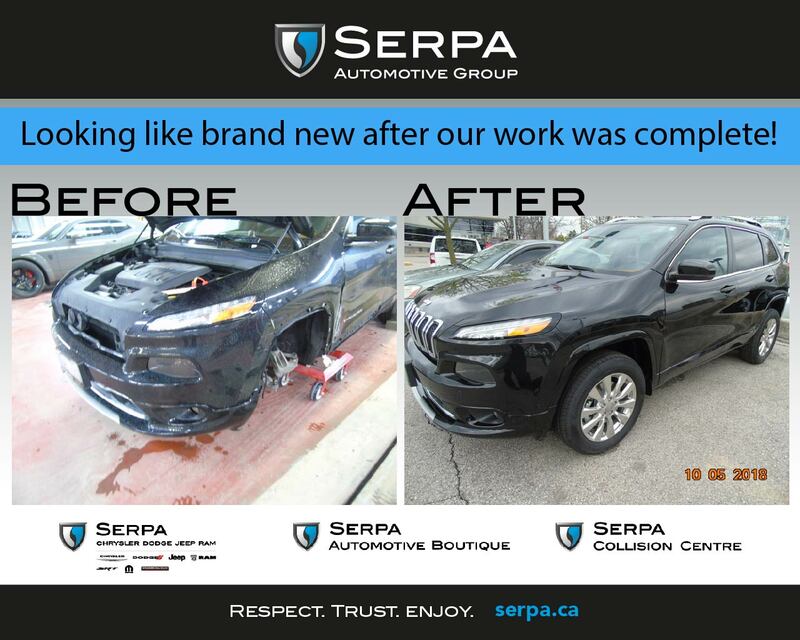 Serpa Collision Centre > Uncategorized > News > Look at this Jeep body repair before and after! 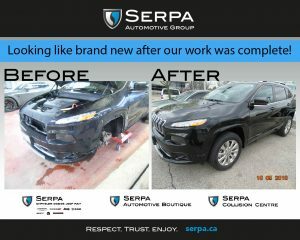 Look at this Jeep body repair before and after! We always enjoy working on our own brand, and this time we rose to a special challenge.